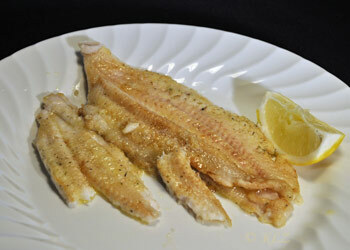 Sautéed Sole with Lemon Butter, Thyme for Cooking easy gourmet dinner. The sole I get is cleaned but not boned. If yours is boned - lucky you. It will sauté even faster.